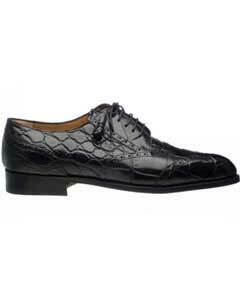 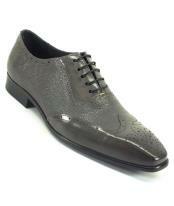 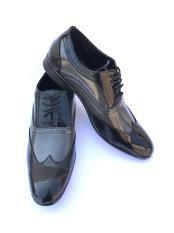 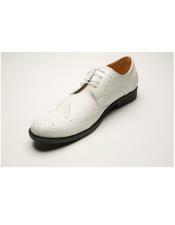 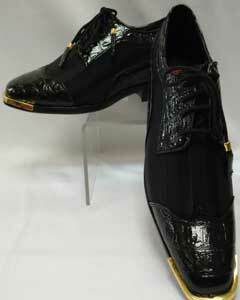 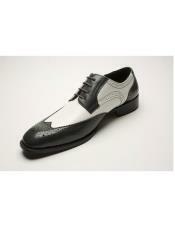 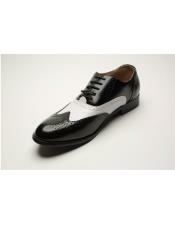 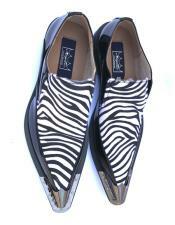 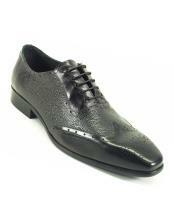 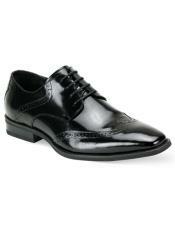 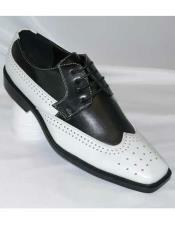 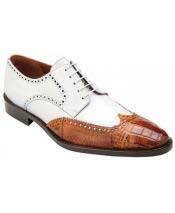 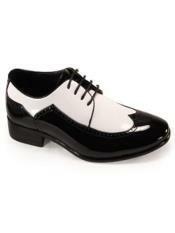 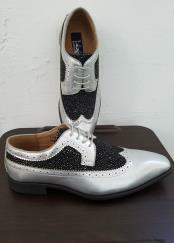 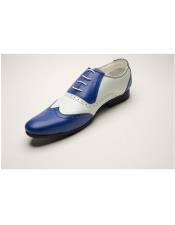 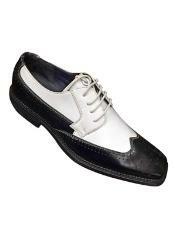 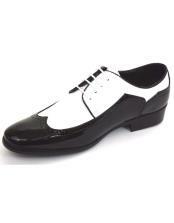 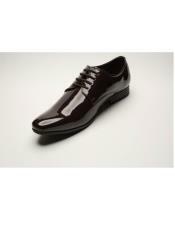 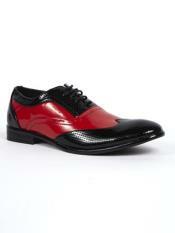 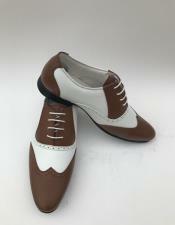 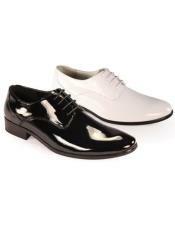 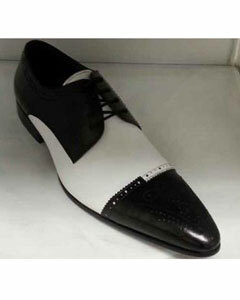 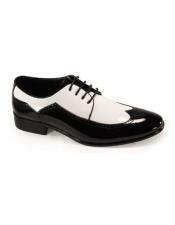 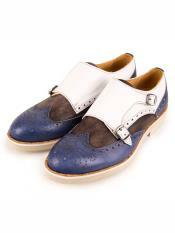 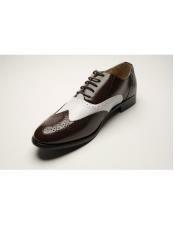 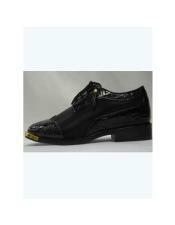 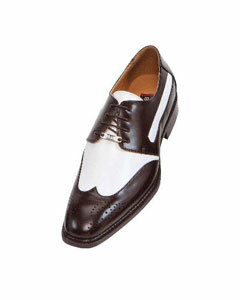 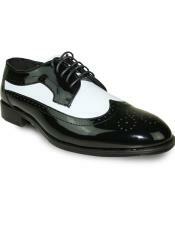 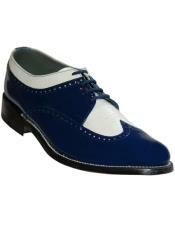 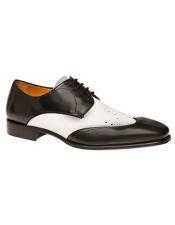 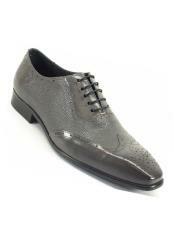 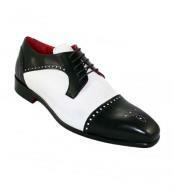 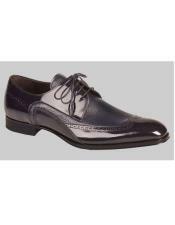 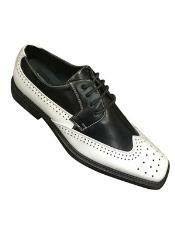 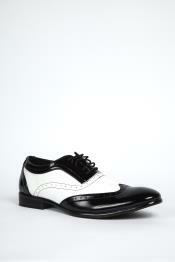 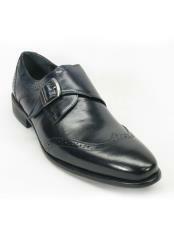 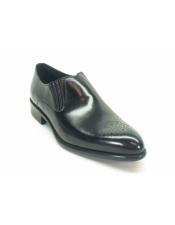 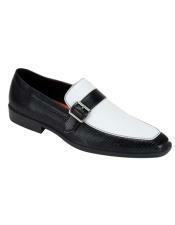 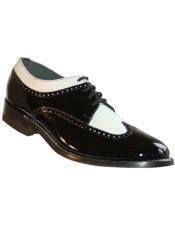 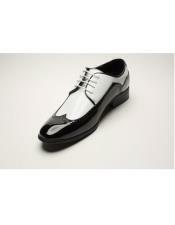 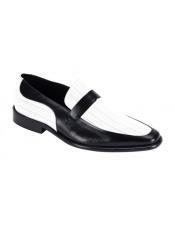 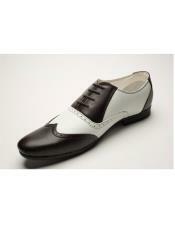 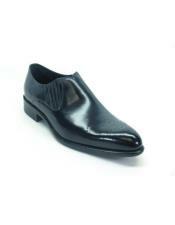 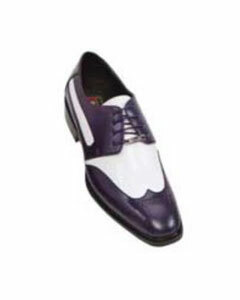 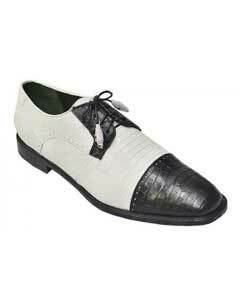 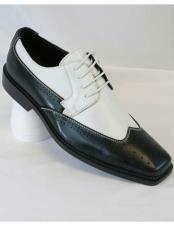 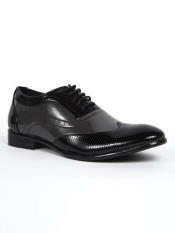 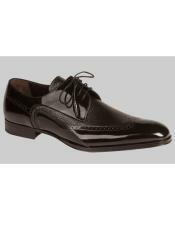 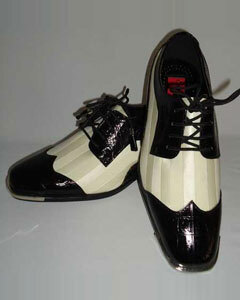 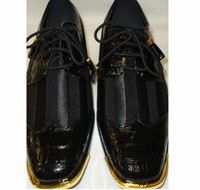 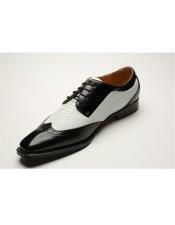 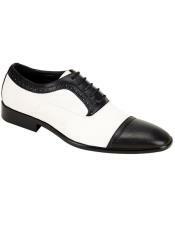 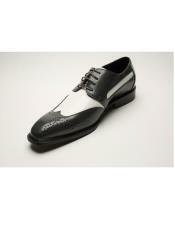 The black and white wing tip shoes are not only classy-looking but comfortable too. They attract attention everywhere you go. 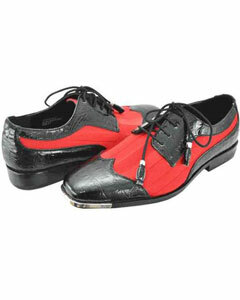 Men dressed in dark suits, hats and black and white wingtip shoes make the shows in Music Theatres even more memorable. 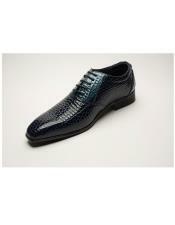 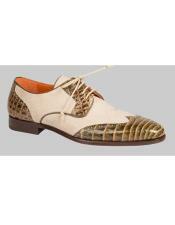 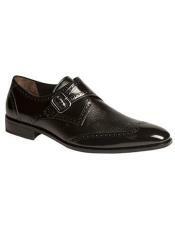 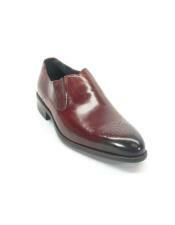 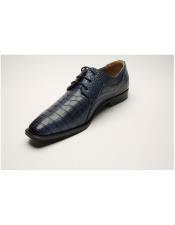 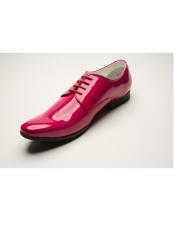 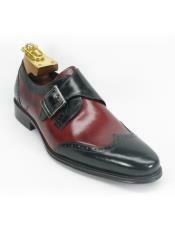 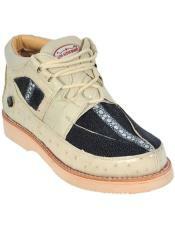 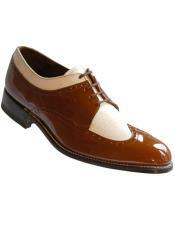 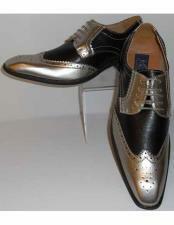 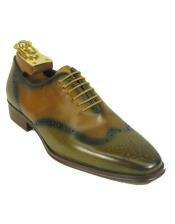 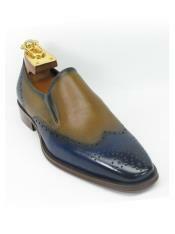 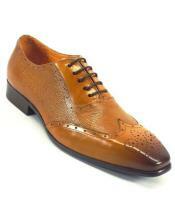 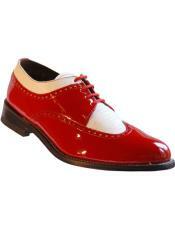 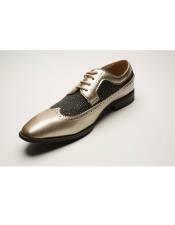 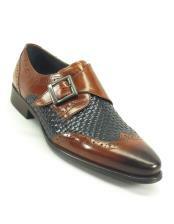 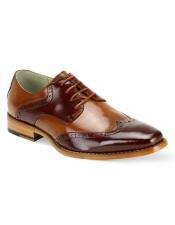 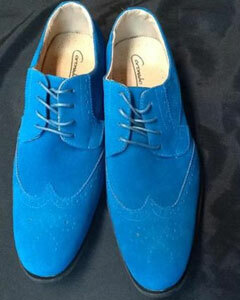 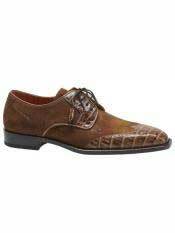 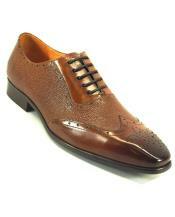 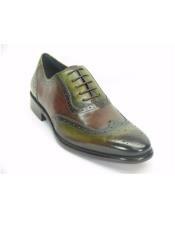 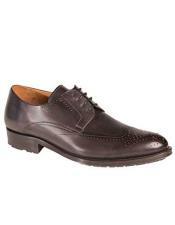 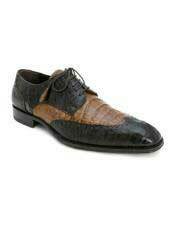 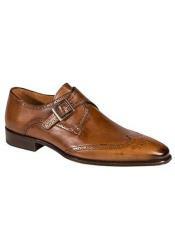 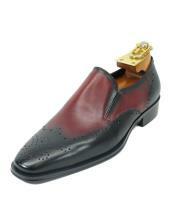 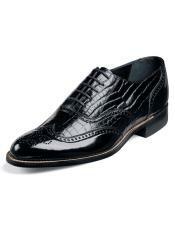 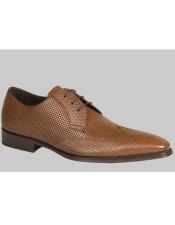 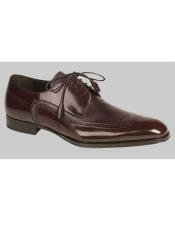 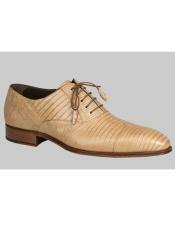 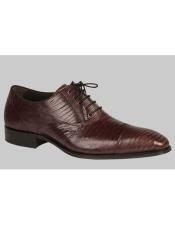 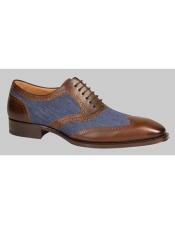 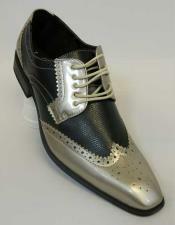 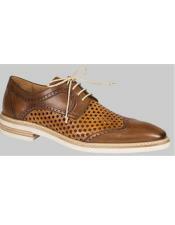 The toe of wing-tip shoe is covered with a perforated panel, the wing-tip, which extends down either side of the shoe. 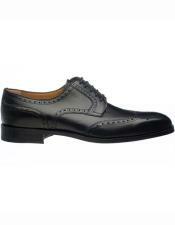 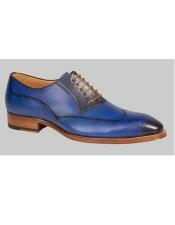 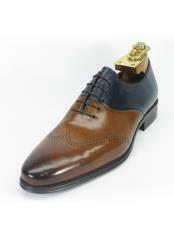 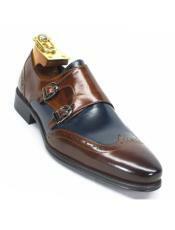 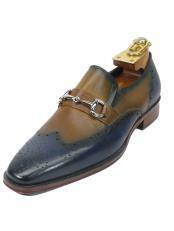 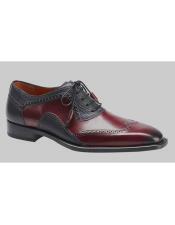 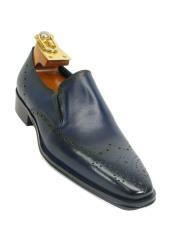 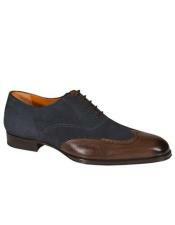 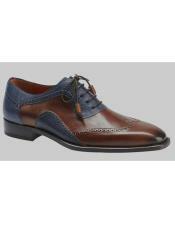 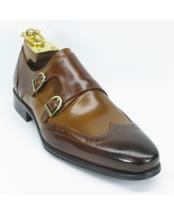 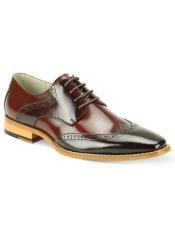 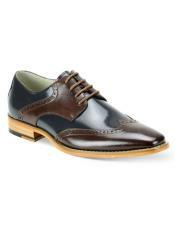 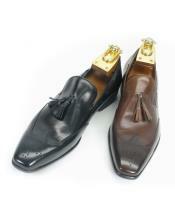 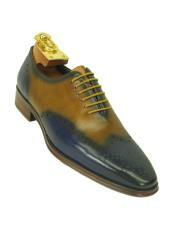 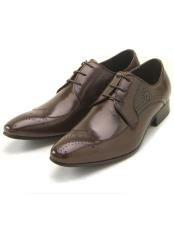 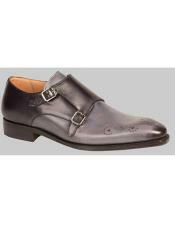 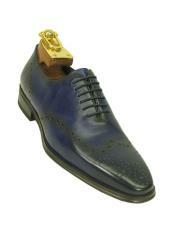 Wing-tips can be found in both balmoral and blucher styles. 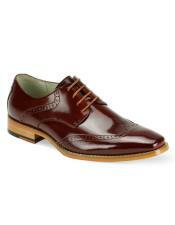 In England this is called a brogue. 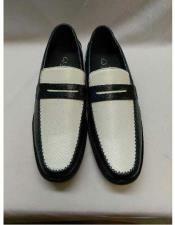 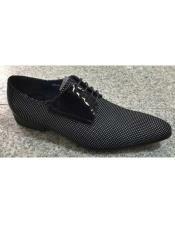 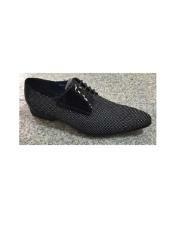 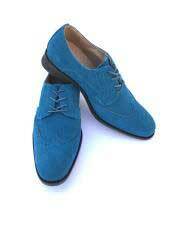 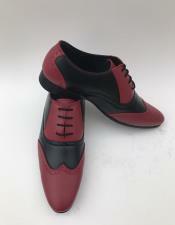 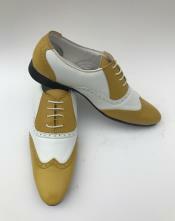 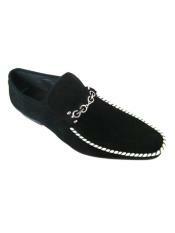 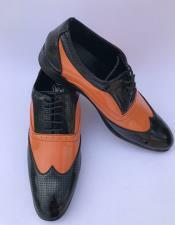 These shoes are available in size range of 7-15. 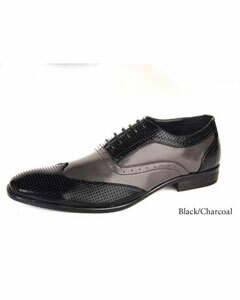 The top selling brands of black and white wing tip shoes are Brentano, Allen Edmonds, Stacy Adams, John Fluevog, Blend, Z mens, Giorgio Brutini, Demonia, Dolly, Florsheim, Pleaser, Donald J Pliner, InStep and Ben Sherman. 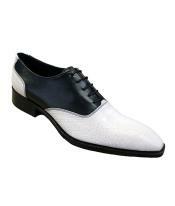 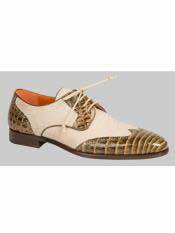 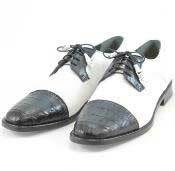 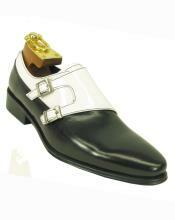 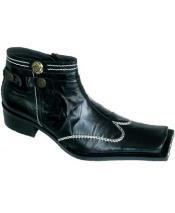 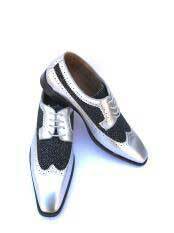 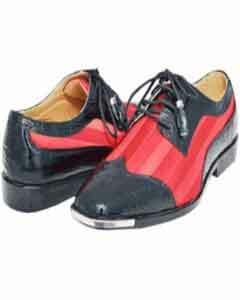 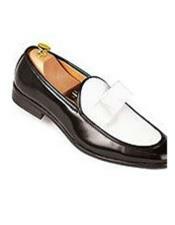 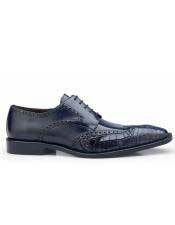 Brentano vintage looking spectator black and white wingtip shoes have soft calfskin leather upper, leather covered cushioned insole, 5 eye-let lace design, welted double leather sole and custom rubber heel. 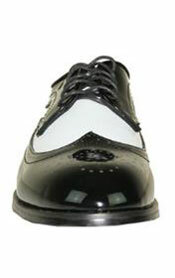 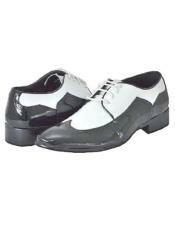 Stacy Adams mens Dayton black and white wing tip shoes are good to dance in and more comfortable than other wingtips shoes. 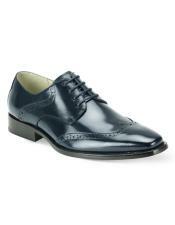 Z mens 535 wing tip shoes are stylish and gives a professional attitude with its quality leather upper, adjustable lacing, padded footbed and durable and flexible outsole. 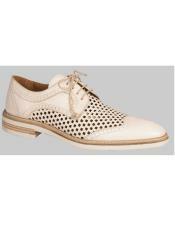 John Fluevog Classic wingtip shoes made in an ultra modern way features smooth and waxy leather combination upper, treated in a unique rubbed-off finish, leather and fabric lining, padded leather insole and natural neolite sole. 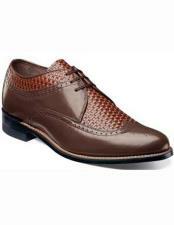 Blend 3375- Wingtip shoes with leather upper, leather and fabric lining and insole and rubber sole serves as cool vibe to any casual outfit. 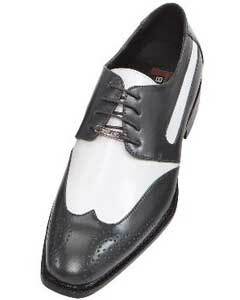 Mens Wing-Tip Creepers Black and White Rockabilly Shoes have black and white upper wing-tip black laces, and 4 eyelet 1.5" creeper soles padded insole.